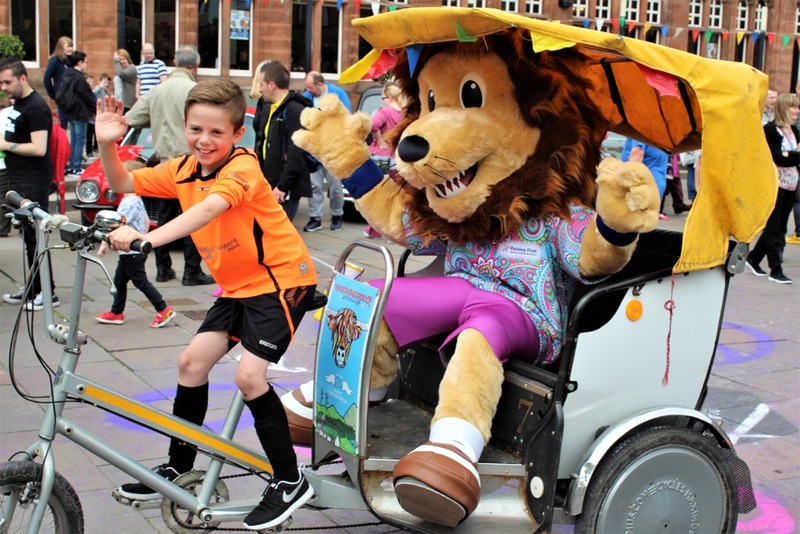 Motoring Extravaganza to return to Paisley town centre this summer! Visitors to this weekend’s Beer and Food Festival can get a taster of what’s to come at CarFest when the team officially launch this year’s event this Saturday at County Place from 10am until 3pm. St Vincent’s Hospice is bringing its hugely popular CarFest into the town centre once again on Saturday 16th June and a fun day out for all the family is guaranteed! There will be classic, vintage and specialist custom cars on show, as well as muscle cars, supercars and emergency vehicles, not to mention motorbikes and Remote Control cars! As well as treats for motor enthusiasts, there will be plenty of family-friendly fun with fairground rides, children’s entertainment, live music, stalls, tombola and a prize raffle! The event is organised by MaxSafe and sponsored by Paisley First. The cars will be on show at locations including Abbey Close, County Square, The Cenotaph, High Street and Johnston Street from 10 am until 4 pm on 16th June. Paisley First Chairman, Graeme McGowan, said: “We’re thrilled to be supporting the Hospice and the CarFest team in bringing this great event to Paisley town centre for a second year. Kate Lennon, Chief Executive of St. Vincent’s Hospice, said: “CarFest is one of the absolute highlights of our calendar, and we are always absolutely blown away by the amount of work and passion that people put in to making it happen. “This year we are celebrating our 30th Anniversary since first opening our doors in 1988. Since then we have provided palliative and end of life care to thousands of individuals and families from all across the Renfrewshire Community. Willie Chrystal of MaxSafe Solutions said: “Last year was the first time the event was held in Paisley town centre, after three years of being held in the hospice grounds, and it was great to see so many people in the town centre supporting it. “It has been fantastically received by both the car owners and the public alike with vehicles of all shapes, sizes and years. The event on Saturday 16th June will kick off with a procession of more than 100 cars taking part from Renfrew Road into the town centre at 8.30am. The cars will then be on show at locations including Abbey Close, County Square, The Cenotaph, High Street and Johnston Street from 10 am until 4 pm. https://i1.wp.com/www.paisley.org.uk/wp-content/uploads/2018/04/IMG_4844.jpg?fit=1024%2C683&ssl=1 683 1024 Brian McGuire https://www.paisley.org.uk/wp-content/uploads/2015/09/paisley-logo-trans.png Brian McGuire2018-04-27 17:04:412018-04-27 17:04:41Motoring Extravaganza to return to Paisley town centre this summer!